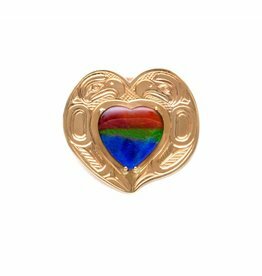 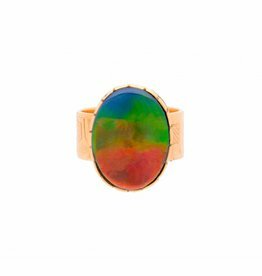 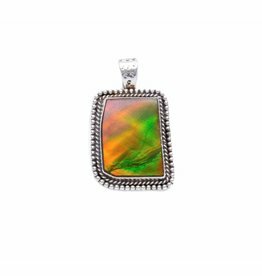 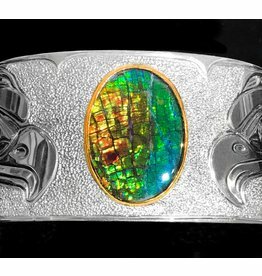 Ammolite Jewelry or Iniskim as gemstone grade only exists in the territory of the Kainai (Blood), the Pikuni (Peigan), and the Siksika (Blackfoot) Indians of Southern Alberta. 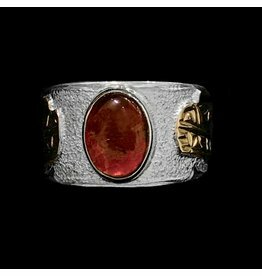 In 1981 this stone was given official gemstone status. 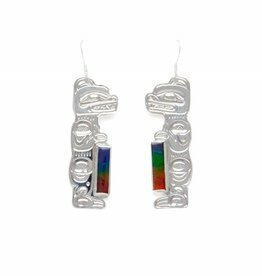 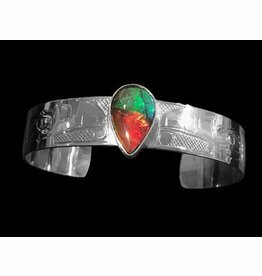 Silver and Ammolite 1" Wolf Bracelet by Henry Green (Tsimshian). 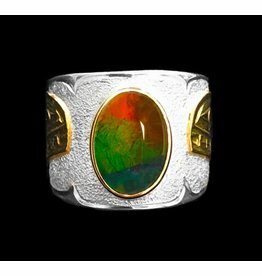 1 1/4" Eagle Silver and Ammolite Bracelet by Matilpi Designs. 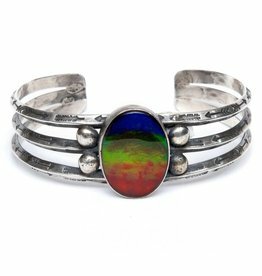 Silver and Ammolite Bracelet by Randy and Etta Endito. 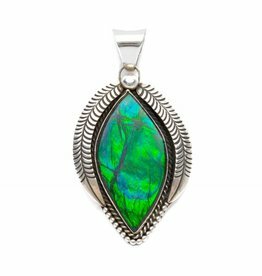 Natural Amollite Silver Pendant by Ruth Ann Begay (Navajo). 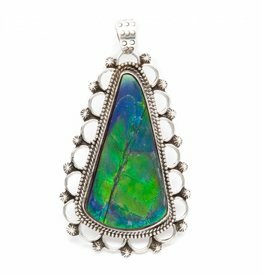 missing Natural Iniskim Silver Pendant by Bryant Martinez (Navajo).